Help open source with DevOps best practices to earn a 2018 Fixvember t-shirt! Create or improve an automated pipeline for an open source project. Bonus points if you use Codefresh's new public build logs. Improve code validation by writing better tests. Add security, ui, performance, and integration testing to open source repos. Bug fixes aren't only for core maintainers! Find an open source repo and start tackling the bugs they already know about. Qualifying contributions should improve DevOps in some way, we encourage creating and using automated code pipelines, adding tests/validation, or even just fixing existing bugs. All contributions are subject to approval. 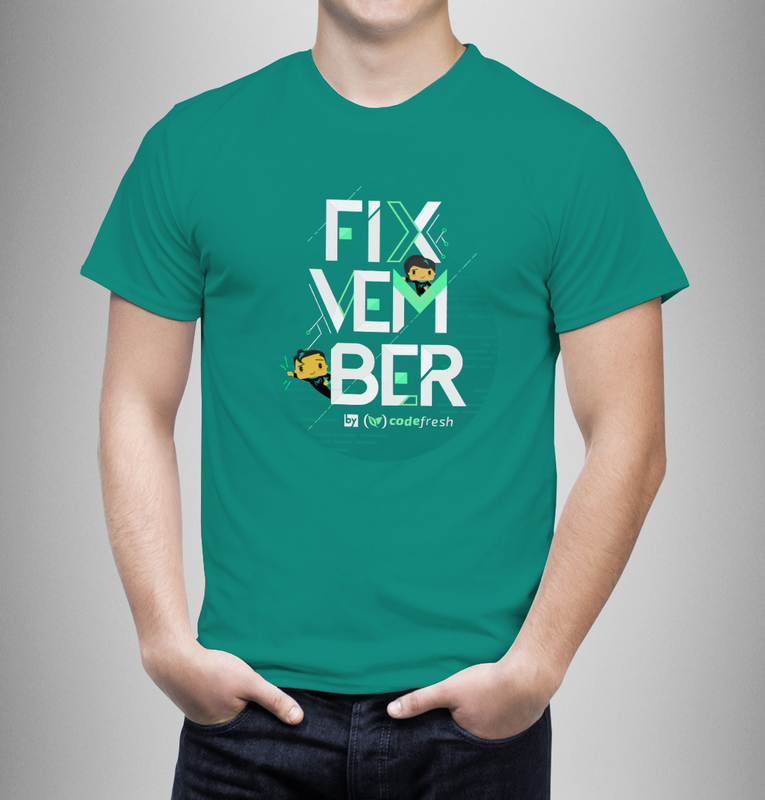 Fixvember Limited Edition T-shirts are subject to availability with no guarantees. Adding a Codefresh YAML to an open-source repo may earn additional prizes or recognition! We're big fans of Hacktoberfest and wanted to keep the fun going. While Hacktoberfest is about making any contributions, we wanted to focus on promoting the so-called "boring" part of development. Writing tests, creating automated pipelines, and fixing bugs. They should be sent before the end of 2018. Can I spam junk pull requests to get the shirt? Nope! We're reviewing all submissions to make sure they're actually quality submissions! Will you send t-shirts to [my country]? We'd like everyone in the world to participate and will do our best to reach [your country]! Contribute to one of these! ChartMuseum is an open-source Helm Chart Repository written in Go (Golang), with support for cloud storage backends, including Google Cloud Storage, Amazon S3, Microsoft Azure Blob Storage, Alibaba Cloud OSS Storage and Openstack Object Storage. Tweek is an open source solution for managing feature toggles, experiments and configurations. Tweek’s architecture is composed of multiple micro-services with different technologies running as Docker containers. The idearium-lib repository is a Node.js shared library for Idearium applications running on Node.js. Any code that is used across multiple applications (or within multiple Docker containers) should live here. Octoblu is a full-stack Internet of Things messaging and automation platform that enables companies to create IoT services with secure real-time exchange of data.